Make sure you fasten your seat belts before you take this new “Most Loved” One Pager for a ride. ‘Make Your Money Matter’ is a new credit union campaign that aims to expose what really happens with the money you deposit in banks. This informational One Pager is absolutely packed with glorious colorful illustrations that animate as you scroll. What a stellar One Page website – seriously take it for a spin. We’re out to educate people about all the good things that come with joining a credit union. 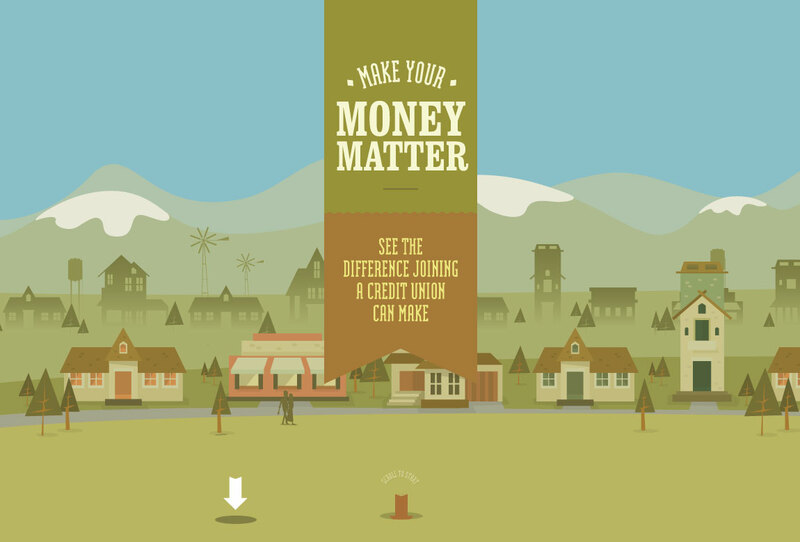 Make Your Money Matter is brought to you by Redwood Credit Union, GTE Financial Credit Union, Baxter Credit Union, Firstmark Credit Union, Bethpage Federal Credit Union, Michigan First Credit Union, OnPoint Community Credit Union & Mazuma Credit Union, in association with PSCU.